First trials were produced in February 2015. 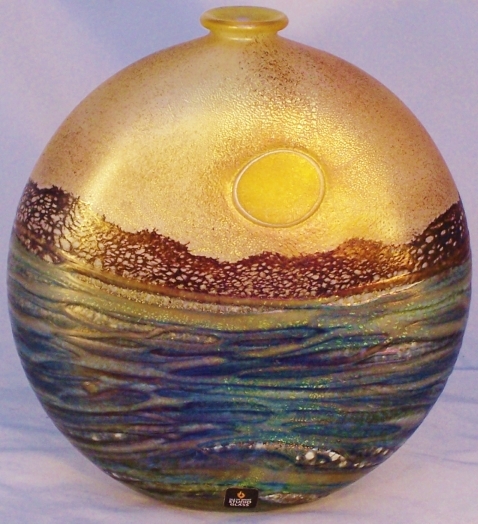 Sunset Isle was a special commission by Ron and Ann Wheeler of Artius Glass. 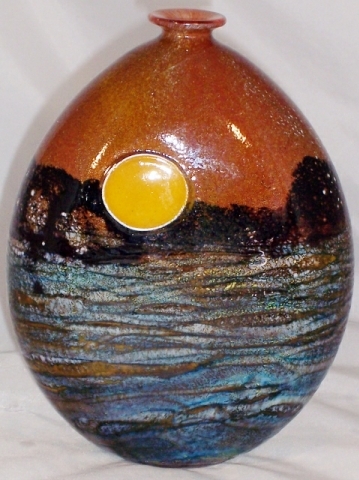 Six trial pieces were produced in February 2015, numbered 1 to 6 and signed by Timothy Harris. 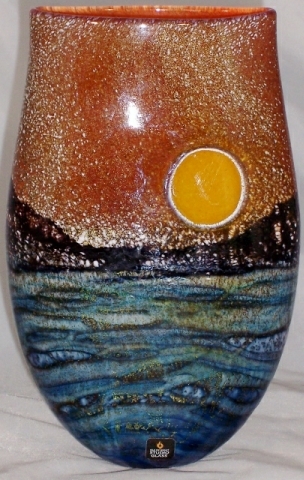 The design represents a sunset looking across a bay over a blue sea towards a tree lined opposite shore. 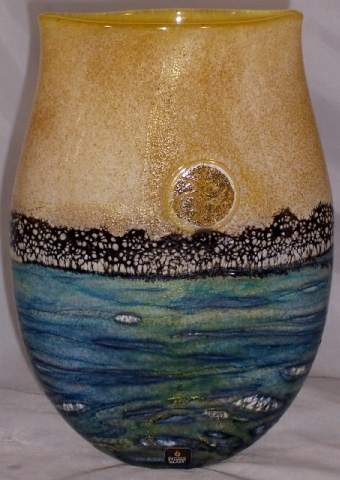 The sun was represented by a yellow disk; one piece had a gold-covered disk. The trials were either bag vases (3 pieces) or flask vases with a small opening at the top (3 pieces), and varied from 13 cm to 20 cm wide. 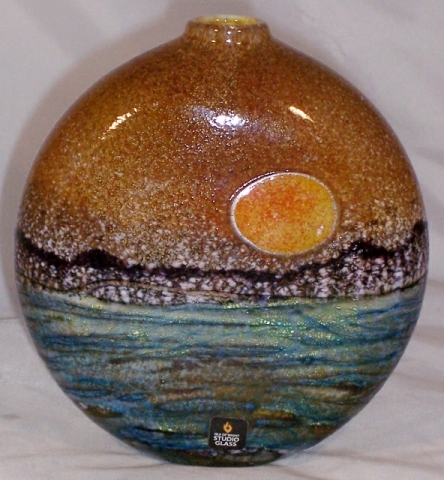 Some of these trials and new pieces in other shapes are/will be available for sale by contacting Artius Glass. 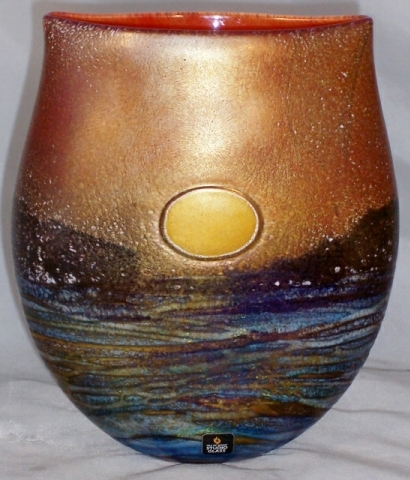 All images on this page courtesy of Artius Glass.